In 1941, as Britain fall to German invasion was seemed imminent, the USAAC opened up a competition for a very long-range bomber that would have to reach Europe directly from North America. Northrop and Consolidated were asked to provide the proposals. 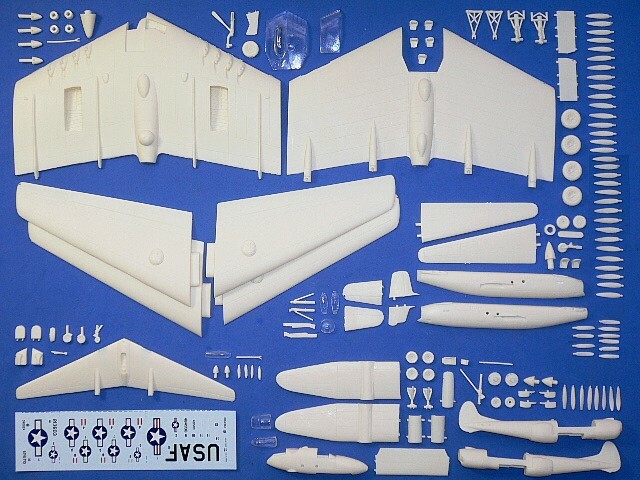 Northrop submitted his flying wing bomber design and was received contract for the XB-35 prototype plus a 1/3-scale N9M mockup. 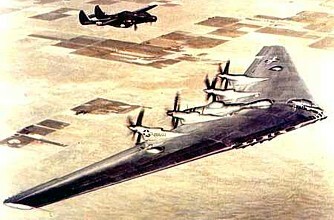 The Consolidated submission was became XB-36. The XB-35 and N9M program was began in 1942. Unfortunately, both the B-35 and B-36 program was seriously behind schedule by numerous technical problems. The test result with the N9M indicated that the range of the XB-35 would shorter that anticipated. The USAAC concluded that the B-35 would not ready in time to contribute the war effect and decided to change the XB-35 aircraft as test vehicles. 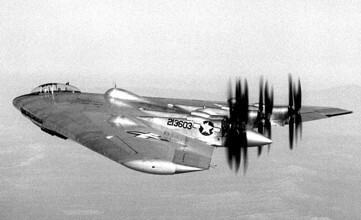 In 1946, the XB-35 finally completed and made its first flight. However, the propeller-driven B-35 was definitely outdated as it was too slow for the era of jet propulsion. The Air Force decided to authorize modification of two YB-35s by installing eight jet engines. These two aircrafts were redesignated YB-49.